RMS NEWSLETTER FOR NOVEMBER... Enjoy! WANNA SEE ALL POSTS? Click here. The RMS December Newsletter 2018! Season's Greetings! The RMS November Newsletter 2018! The RMS October Newsletter 2018! The RMS September Newsletter 2018! The RMS August Newsletter 2018! The RMS July Newsletter 2018! The RMS June Newsletter 2018! The RMS May Newsletter 2018! The RMS April Newsletter 2018! The RMS March Newsletter 2018! The RMS February Newsletter 2018! The RMS January Newsletter 2018! The RMS December Newsletter is finally here! The RMS November Newsletter is available now! The RMS Newsletter for October is here! The September 2017 RMS Newsletter is ready now! 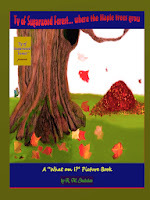 The August RMS Newsletter includes a fun TONGUE TWISTER! "A MIXING BOWL RIDE!" -- included in the RMS Newsletter for July -- Enjoy! 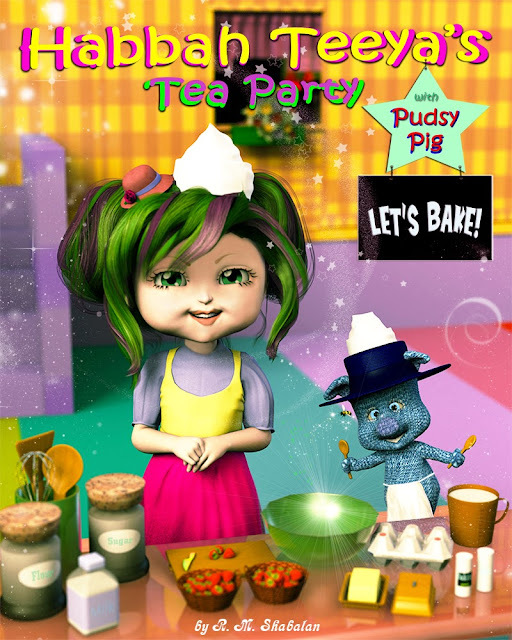 Habbah Teeya's Tea Party with Pudsy Pig: LET'S BAKE! The March Newsletter! It's ready..
Hope you like the new February Newsletter! The January Newsletter includes, "teaBreaks" - enjoy! 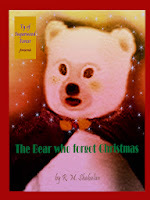 The December Newsletter is ready for viewing! The November Newsletter is here! The October Newsletter is ready! The September Newsletter is here! Check out the Habbah Teeya & Pudsy Pig COMIC STRIP! New Book! Habbah Teeya's Tea Party with Pudgy Pig! Our Christmas Video is here! 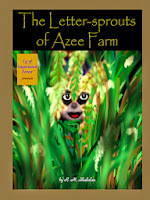 New Video: "Ty of Sugarwood Forest Theme Music"
The Print/Paperback edition of "The Letter-sprouts of Azee Farm" is available now. Copyright © 2009-2019 R. M. Shabalan. All rights reserved. Simple theme. Theme images by Jason Morrow. Powered by Blogger.